Just after the Super Bowl in February, Fox will debut its new action series spin-off 24: Legacy, which does not bring back Kiefer Sutherland's iconic Jack Bauer. Instead, the series focuses on a new hero, Eric Carter, played by Corey Hawkins, who must race to stop a terrorist attack on American soil. This thrilling new series will reset the clock, bringing the same exciting format as 24 back to the big screen, with an entirely new cast of characters. 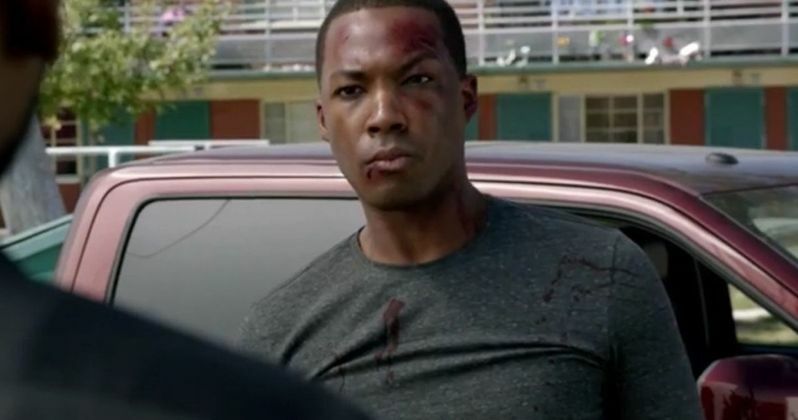 The hours ticks again with 24: Legacy, the next evolution of the Emmy Award-winning 24. From Emmy Award-winning executive producer Howard Gordon (Homeland, 24: Live Another Day), Academy Award- and Emmy Award-winning executive producer Brian Grazer (A Beautiful Mind, 24), writers and executive producers Manny Coto and Evan Katz (24, 24: Live Another Day), director and executive producer Stephen Hopkins (24) and executive producer and original series star Kiefer Sutherland, 24: Legacy chronicles an adrenaline-fueled race against the clock to stop a devastating terrorist attack on United States soil. The show will be presented in the same real-time format that has propelled this genre-defining series on Fox. Six months ago in Yemen, an elite squad of U.S. Army Rangers, led by Sergeant Eric Carter (Corey Hawkins, Straight Outta Compton), killed terrorist leader Sheik Ibrahim Bin-Khalid. In the aftermath, Bin-Khalid's followers declared a fatwah against Carter, his squad and their families, forcing them into federal witness protection. But a recent attempt on Carter's own life makes it clear to him that his team is now exposed. To thwart further attacks, Carter enlists Rebecca Ingram (Miranda Otto, Homeland), who quarterbacked the raid that killed Bin-Khalid. She's a brilliant and ambitious intelligence officer who has stepped down from her post as National Director of CTU to support her husband, Senator John Donovan (Emmy and Golden Globe Award winner Jimmy Smits, NYPD Blue, The West Wing), in his campaign for President of the United States. Decades of sleepless nights and missed anniversaries landed her at the top. With the White House within their grasp, can she truly embrace a new role as First Lady? Or will her love of the action draw her back in? Together, in this fast-paced thrill ride, Carter and Ingram uncover a sophisticated terrorist network that will force them to ask: "Who can we trust?" As they battle Bin-Khalid's devotees, they are forced to confront their own identities, families and pasts. There had long been rumors that Kiefer Sutherland will return as his iconic character Jack Bauer, especially after he came on board as executive producer, but the actor confirmed a few months ago that there are "no plans for that. The cast for 24: Legacy also includes Ashley Thomas as Isaac Carter, Teddy Sears as Keith Mullins, Dan Bucatinsky as Andy Shalowitz, Anna Diop as Nicole Carter, Charlie Hofheimer as Ben Grimes, Coral Pena as Mariana Stiles and Sheila Vand as Nilaa. 24: Legacy will debut with a special two-night event on Sunday, February 5, following Super Bowl LI, and continuing with its time period premiere on Monday, February 6. Take a look at the new trailer below for this action-packed series. 24 to Return as an Anthology Series with a Female Lead?